As a past director of marketing for the New Orleans Symphony, the owner of Flutter FETTI® can attest to how well visual and innovative concert decorations can enhance traditional classical music while at the same time attracting new ticket holders. An explosion of Flutter FETTI® raining confetti for music performances to accompany a dramatic point of a piece will make the audience gasp in wonder. Or use our Airless Streamers to close out the concert, and the stunning effects will help lift people out of their seats to clap wildly and shout, "Bravo! Bravo!" They'll leave the theater with energy and excitement, and they'll later spread the word to friends and family. Many people who love classical music are still intimidated by the concert hall experience. Something as exuberant as Flutter FETTI® confetti streamers for concert decoration will help remove the aura of seriousness and focus attention on the inherent spirit of the music. After all, there's no reason why symphonies shouldn't be fun! Ask the Transiberian Orchestra and the Boston Pops, both of whom are fans of Flutter FETTI®. So welcome new audiences! 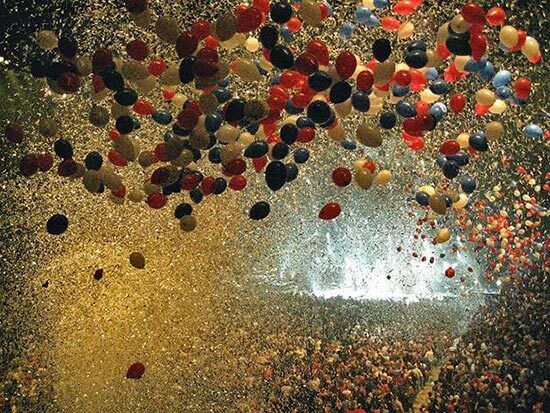 Give them a visual delight of raining confetti to go along with the musical performance's beauty. The music may be timeless, but the concert experience should be dynamic!